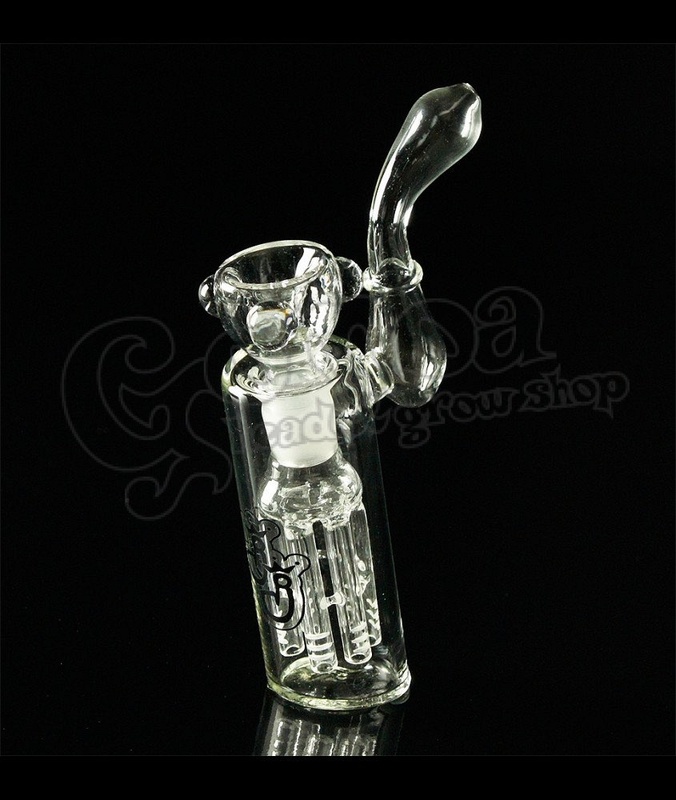 This Polymorphic JJ Bubbler is a handheld piece of glass art that will offer you a special hit! It is made of a high quality heat proof borosilicate glass formed in the shape of a tube of 20 cm height and 40 mm diameter. It comes with a built-in 6 arm percolator ending up in a 3 point bowl. The JJ logo features at the front of the diffuser chamber.